CONFESSIONS OF A FUNERAL DIRECTOR » You Want to Be a Mortician? You Want to Be a Mortician? by Caleb Wilde in You Want to Be a Mortician? One. Nobody who “wants” to be a funeral director will make it. It isn’t something you want in the way that you want a boy/girlfriend or a new car. No. It’s more like marriage. It’s a commitment that’s intended to last. It’s not a job … nor is it just a profession … this business is a lifestyle. And if you’re not ready to marry it, then move to another job that demands a less committed relationship. I’m always impressed by a funeral director who dresses well. Find a good tailor, buy good shoes, spend extra on that suit that fits you really well, keep your hair in shape and smell good. It might cost you money that you don’t have, but it will pay you back in confidence and numerous good-humored flirtatious advances from people three times your age. What made Hamilton cool is that he didn’t care about his image, he cared about his legacy. Burr was the antagonist only because he cared about his image and never forfeited that image for something lasting. But Burr’s adage of “Smile more. Talk less.” isn’t all bad per se. It may have been bad for Hamilton, but for those of us in the funeral industry, it’s pretty good advice. One of the common pitfalls I see in young funeral professionals is that they’re entirely too stressed out in their pursuit to be the perfect funeral professional. Families don’t want you to be stressed out. They don’t need a perfect funeral director. They need you to be calm, in control of your stress and ready to be present. It’s hard, I know because I was once that stressed out “professional”, but somewhere along the way I stopped trying to be a consummate “professional” and it was then, and only then, that I really started being present and helping families. This also means that you know your knowledge boundaries. Direct those questions outside our professional knowledge to the people who are qualified to answer. We aren’t lawyers, doctors, grief counselors or theologians. And when we don’t know an answer to a funeral question, ask a mentor. It’s okay if you don’t know an answer; what’s wrong is when we let our pride get the better of us and we act like we do. When you first start in this business, ITS SOOOOOO DAMNNNN TOUGHHHHHHHHH!!!!! The holidays. The weekends. It even takes our nights! And after it takes our weekends, and our sleep, it tells us to get back up at 7 AM because there are two funerals we have to work the very next day. It really does take awhile for our bodies and minds to get used to the schedule. Sometimes our bodies and minds need help getting used to the schedule. Sometimes we might need a psychologist. Sometimes we might need a fitness instructor. But most times we just need a good nap. If you stick to it, you’ll eventually be able to keep up. Have you ever been around grieving people? At times grieving people act like they’re out of their minds. And, there’s times when grieving people can act … well … they act kinda crazy. And it’s their right. In fact, it’s the reason WE exist. Their world has been pulled out from under them, they haven’t a foot to stand on and everything that they used to know is suddenly … gone. And you’re here to help create semblance in the crazy. It can be tough to learn patience, especially when we’re working on small amounts of sleep and are arranging multiple funerals at once. But it’s something we have to do. The secret to learning patience, to getting used to the schedule, to finding resilience during the tough schedule is this: Learn to love serving others. Probably the best means to cope with the funeral business is found in the people we serve. Love them intentionally and don’t be afraid to find joy in meeting their needs. Don’t be afraid to hear their stories and become part of their family. Generally, you work with older people and older people prefer to work with people within their generation. It can be hard for a younger person to establish themselves in this business, but it’s very possible. 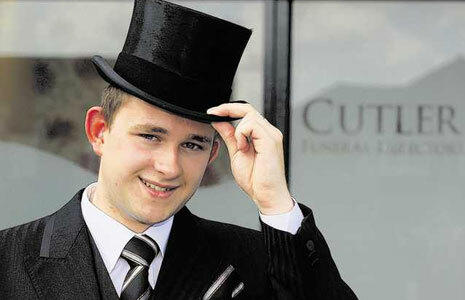 There are no Mark Zuckerburg 18-year-old prodigies in funeral service because being a funeral director is about life experience, not business acumen. This doesn’t have to be anything official. You don’t have to update your Facebook status to “in a mentor relationship with ….” Find someone you respect in this profession, someone who has more experience than you do, someone who is willing to answer your numerous question and stick close to that person (it’s best if you work with that person). At one time, this industry was a trade; in other words, it wasn’t taught in schools and regulated by state boards. It was a trade that was taught by a mentor to an apprentice and the skills and business acumen were passed down through word, practice and in house training. I do believe that the best funeral directors are still being produced when they treat this work like a trade. They find a mentor, and they learn by the guidance of someone older and wiser. I’ve been close to being burnt out. Landed in the hospital. Reevaluated life. I started to see a psychologist. I started anti-depressants. I started writing more. I started going to the gym more. Saying “no” more often. I started to realize that if I wanted to take care of others, I had to take care of myself. Self-care is the unselfish act of selfishness and I know for a fact that I’d be out of this business if I didn’t practice it. 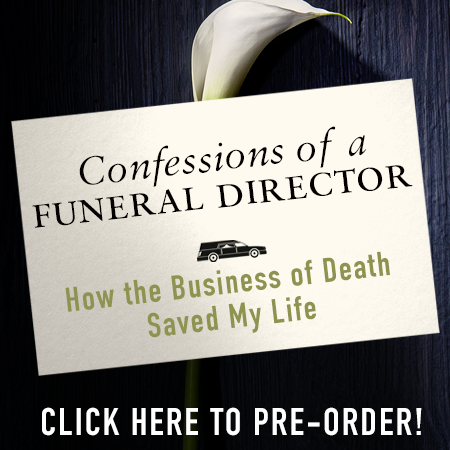 If you’re a new funeral director (or you want to be one), I do believe you’ll gain a lot of perspective from my book. It’s a transparent and personal look at the rigors of being a funeral director. 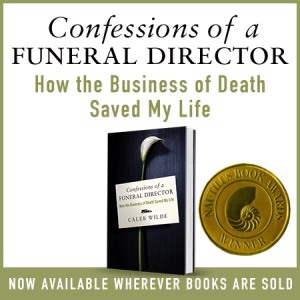 by Caleb Wilde in Funeral Directing, You Want to Be a Mortician? If you’re in (or going to be in) the funeral trade, what reason(s), experience(s) and/or event(s) inspired you to take the plunge? These 20 very short stories help dispel the idea that funeral directors are innately money-hungry creepy people. Creepy people who stuffed their first piece of road kill at the age of 10. People who were born and wrapped in a black baby blanket and put in a coffin shaped crib with hearses and trocars dangling from our crib carousels. Yes, death makes us different but most of us entered death care as normal, good-hearted people who want to make a living while making a difference. So, You Wanna Be a Mortician? The following post will be my attempt to destroy your dreams of becoming a funeral director. If you can make it to the end of this incredibly pessimistic post and your dreams are still intact, then maybe – just maybe – this “profession” is right for you. I know I’ll get push back from other funeral directors / embalmers who will say I’m wrong on this or that — or that I’m being too negative — but the purpose of this post isn’t to encourage you, it’s to help you see if indeed this work is for you. Two. Unless you’re born into a family business (God help you), it’s tough to get your foot in the door. I don’t know which is worse: being born into a family business and being pulled into the death machine or actually wanting to enter the death machine on your own initiative. The irony is this: those who are born into it don’t always want what’s being given to them; and those who want to be in this business are hardly ever given anything … they’ve got to earn it. And some will earn it by pulling the night shift; others will start with washing hearses, mowing lawns and making trips to Wal-Mart to buy a cheap bra for Ms. Smith (whose family forgot to send one along with her clothes); and still others will be stuck making pick up after pick up after pick up. Others may earn it by learning how much cream and sugar the other staff want in their Starbucks coffee. And once you’ve put in ten years, you might eventually be allowed to do the meaningful stuff like meeting with families, etc. And then you’ll be able to command other people to get you your coffee! Power! Three. You won’t make much money. Funeral home owners make decent money. Unless you’re an owner, expect less than a nontenured public school teacher’s salary. I know, I know … everyone thinks we’re loaded with the bills, when actually we’re just loaded with school loans and a lot of caffeine. Four. If you’re lazy and don’t have an intense work ethic, don’t apply. You know what they call a lazy funeral director? They call ‘em dead. Because the only time most funeral directors quit working is when they die or get maimed by a unicorn. Five. If you’re not a patient person …. And if you don’t have the patience to walk with a person whose mind is clouded with grief then funeral service isn’t for you. Six. You need to be a (somewhat) stable person. I’m not really sure what a stable person is; but I do know what an unstable person is. An unstable person doesn’t know how to show up to work on time because he or she has been out drinking the night before with his or her friends. Seven. Getting your license can be complicated. Each state’s (in the US) requirements for licensure is different. Some states make distinctions between embalmers and funeral directors. Some require three years of education, some less and others more. Some states don’t even have a Mortuary School. Most states (all states?) also require you to have an internship before you’re licensed. And then there is the state test and the national test that you have to take. And some states make you learn how to embalm a Sasquatch … because in some states Sasquatch actually does exist and it’s a well kept secret that Sasquatches like to be embalmed. Eight. You hit your pinnacle in this “profession” when you get older. Generally, you work with older people and older people prefer to work with people within their generation. So, it can be hard for a younger person to establish themselves in this business, but it’s very possible. There’s no 18 year old prodigies in funeral service because being a funeral director is about life experience, not business acumen. Nine. It will be tough on your family. Holidays. Baseball games. Weekends. Death keeps no schedule and neither will you. If you work for a larger funeral home, you may be able to work shifts. But shift work in the funeral business is not normal shift work. If you want to enter the funeral business, make sure both you and your family are prepared to see less of each other. You take those smells home with you. If you made it this far with your hopes intact, click here for Ten Reasons I’m a Funeral Director. Aside from the obvious advice, like, “Don’t make any jokes about necrophilia during your interview”, I feel it was best to crowd source advice from other professionals in funeral service. Over 150 replied. Some of the advice is similar, but each comes from a different perspective. Here are 21 tips for aspiring first generation funeral directors from those who have made it. 1. From Kristen A.: My advice is … funeral services isn’t a “job”, it’s a calling. If you don’t have it in your heart you’ll never succeed. 2. From Jim S.: (If you have questions about the funeral industry) the worst thing to do is just “pop” in (to a funeral home) and ask to see anyone. The best course would either be to ask for an introduction from someone you know or make initial contact via e-mail. This is directly from my instructor as well, if you have questions (about the funeral industry), contact a school that offers the Mortuary classes, they have all the time in the world to talk. 2. From Heidi B.: Job shadow a funeral director for one week if you’re able and tour/talk to a mortuary school. 3. From Geoff C.: (Aspiring funeral directors) need to get their foot in the door (very hard) and try to experience as many aspects of the job as possible BEFORE going to mortuary school. They need to understand it’s not all about wearing nice suits and driving nice cars. I personally saw so many, in school, their first time in a prep room was at labs. They do their apprenticeship and get licensed and within a year, they leave the industry. 4. From Kyle S.: I was talked out of my career in high school when I approached a funeral director in my town for advice. She told me to basically go away and find another career because I would never get a job, not having relatives in the business. I regret listening to her…so my advice is: if you really want it, DO IT. There will always be a place for you, perhaps not in your town or state….but life is long and hard when there are regrets. 5. From Erica C.: Networking is a great tool. Knowing people at a removal service in a larger area is a good thing since they have contact with the majority of the funeral homes. Also, I did my apprenticeship at an embalming service and learned invaluable skills. As an embalmer you are much more marketable. 6.: From Shandel P.: Get a job (if you can’t get a job, then volunteer your weekends) at your local funeral home BEFORE you commit to going to mortuary school in hopes of making a career of being a funeral professional. I’ve had quite a few people I went to school with who quit when they started their internship (i.e. after they were done with Mort school) because they couldn’t deal. 1. From Boyd C.: Be willing to relocate (especially for an apprenticeship). 2. From Ada O.: Write up a solid résumé and cover letter. Mail it to as many places as you can, and follow up in two weeks if you don’t hear from anybody. I did this for 15 funeral homes and finally got an apprenticeship. 3. From Cortney N.: There are internships out there! You just have to be proactive. I am not from a family of funeral directors, so I am a first generation. You will most likely have to relocate, there are head hunters out there as well who do assist in finding interns/ internships. 5. From Boyd C.: Follow up. Call funeral homes and ask to just meet with a director to ask questions about the industry. Above all, just keep at it. Eventually a door will open. 6. 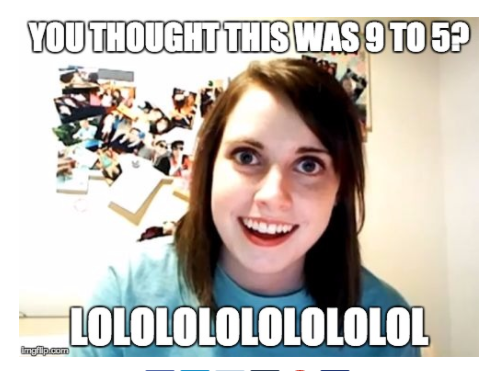 From Anna K.: Yes, you will work A TON of hours your first year. But at what professional job you wouldn’t? Besides, if you love the job you won’t mind spending the time developing your skills and know that it won’t be a waste of time because those hours will pay off in the long run. There are good firms out there. Just be proactive and stay positive. 7. From Hannah K.: As an apprentice or new guy/gal everyone is your boss. You do not have a job description. Do your best to do whatever (in legal and moral boundries)it is you are asked to do. 1. Tony G.: Interview, interview, interview and interview. Don’t be desperate to find a funeral home. You will end up quitting and jumping from one frying pan to another. Don’t rush it. You will know when you find the right place. 2. From Kristin J.: I had no connections when I started. Talk to teachers, they are huge assets and can help put in words of recommendation. Post resumes on state board websites and nfda. Be open minded and it helps to be willing to relocate. Make sure its something you feel passionate about because its hard day in and day out. Supportive family is a must since hours are all over the place and you don’t get holidays or weekends. 4. From Leslie S.: It’s easier in a bigger city that has corporately owned funeral homes. They tend to hire more workers. 5. From Ron M.: SCI (Dignity Funeral Homes) are always looking for new hires. I’m a former Location Manager (No License). I started as General Duties and learned as much as I could. Eventually that led to My Several Promotions. 6. Some real practical advice from Rose A.: Learn proper composure. Walk and talk in such a way as to lend dignity to your profession. Sharpen your listening skills. Don’t jingle your change or check your phone in view of funeral attendants. React with compassion, but do not speak in platitudes. Don’t say, “Good morning” or “good evening” when answering the door, say, “welcome”. Have tissues handy in your pocket. Don’t chew gum. 7. Rachel M.: Don’t get discouraged. It may seem difficult to find a job, but it is worth the wait. This is a very rewarding profession and you can’t stop before you start. 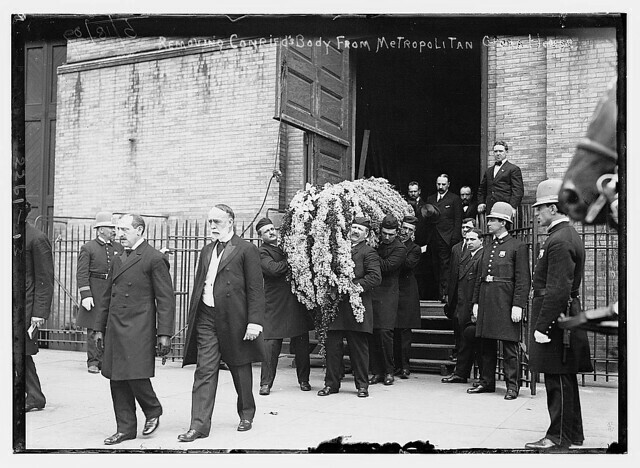 So, You Wanna Be a Funeral Director?